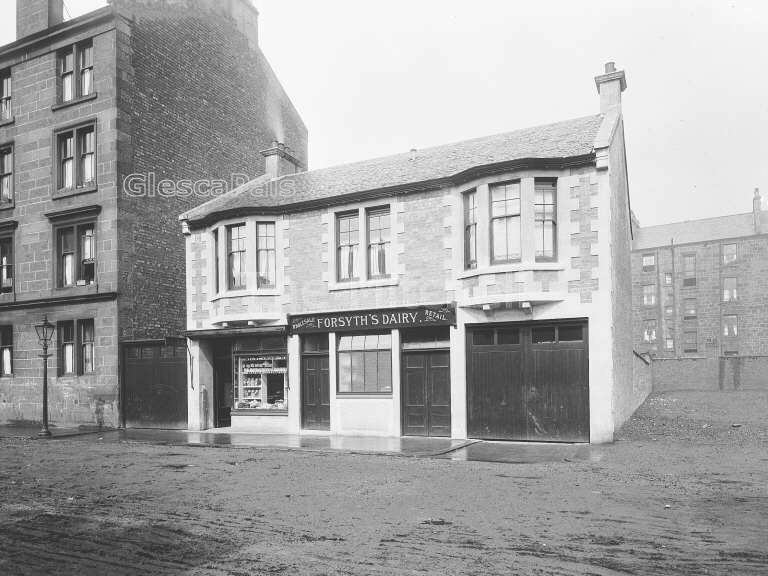 Hi Webmaister, this is an excellent black and white photograph of Summerfield Street, Dalmarnock. The building located between the tenement and the Mecca Bingo was Stevenson's Creamery and Dairy where milk and orange juice were bottled prior to delivery throughout the west of Scotland. 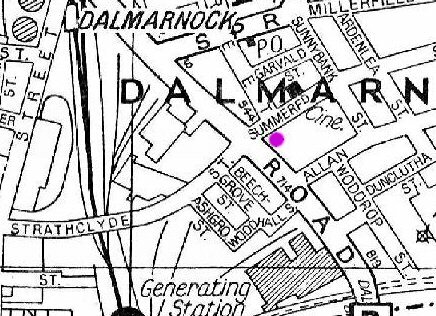 One of my school pal, James Hamilton, and his family lived in the flat above the Creamery and Dairy. James' Da was the manager at the time and I remember being in the Creamery and Dairy watching the empty milk and orange juice bottles being mechanically washed, filled and capped with the silver foil. Bottles were then conveyed to crates before being loaded onto lorries for delivery to shops throughout the west of Scotland. Hi Webmaister, came across this photo taken in 1924. 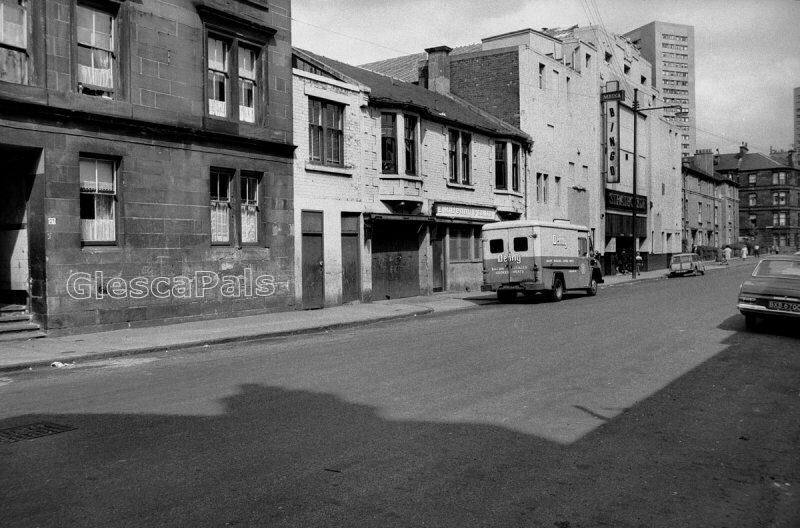 It shows the creamery and dairy, known then as Forsyth's Dairy, before the Strathclyde picture house was built. The tenements of Garvald Street can be seen to the right of the dairy beyond the spare ground on which the cinema was built. It is of interest to note that an extension to the adjacent tenement was subsequently built and of course, the gas street lighting and the unpaved road surface. Kind regards, glesca artist. 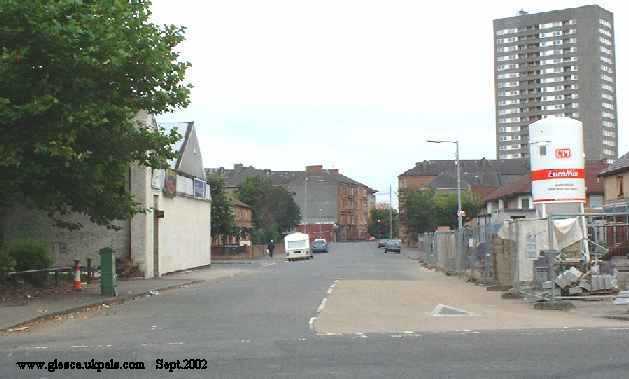 Photograph taken at junction of Dalmarnock Road. down leaving the local shop or public house still standing ! 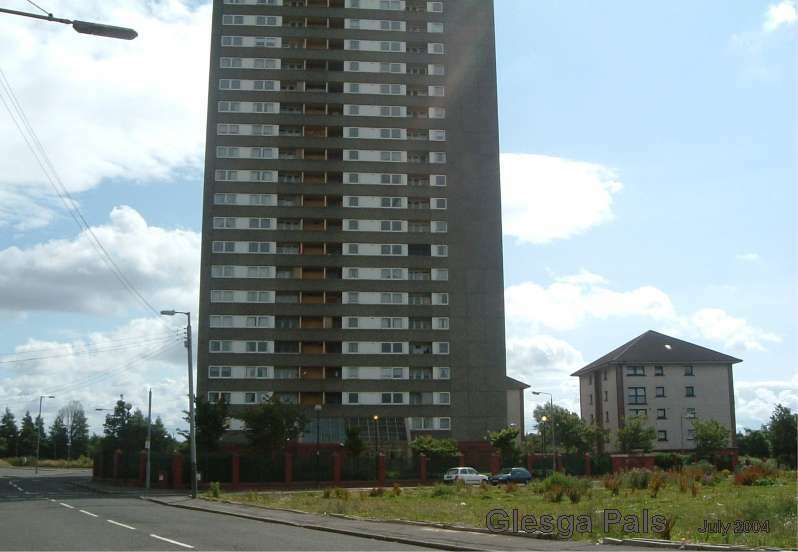 Photograph taken from junction of Sunnybank Street. Note the slogans on the wall. 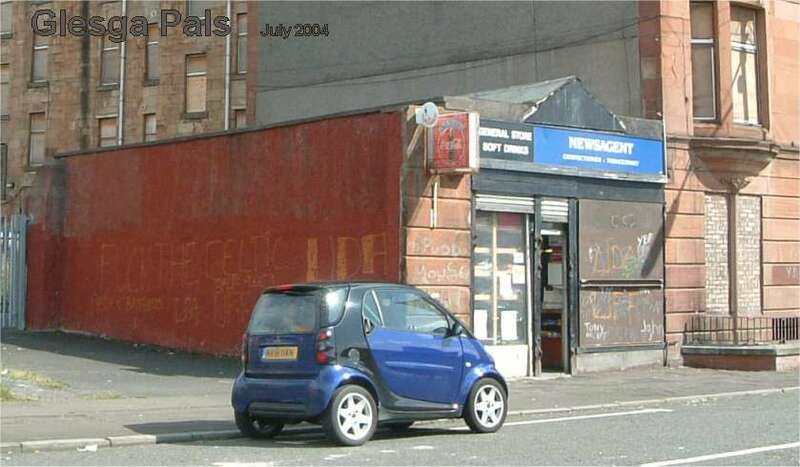 Photograph below taken from outside the shop in Sunnybank Street. 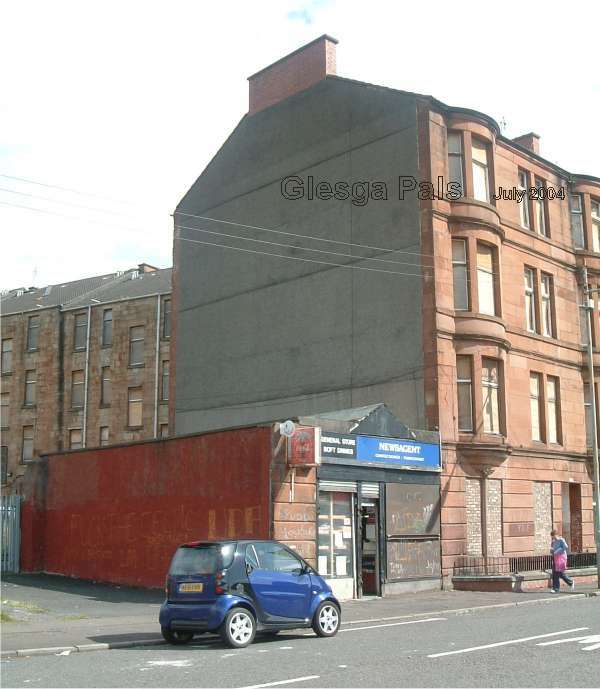 As you can see all the tenements on this side of the road have been demolished.